168 pages | 4 B/W Illus. This book examines the structure of political power amongst elites inside Saudi Arabia and how they might cope with the very serious challenge posed by succession. Presenting a new and refreshing theoretical approach that links elite integration with regime stability, the author shows that the kingdom’s royal elite is far more integrated than it has generally been given credit for. Based on extensive field work inside Saudi Arabia, the book offers a detailed, up-to-date survey and assessment of all the key sectors of the elites in the country. 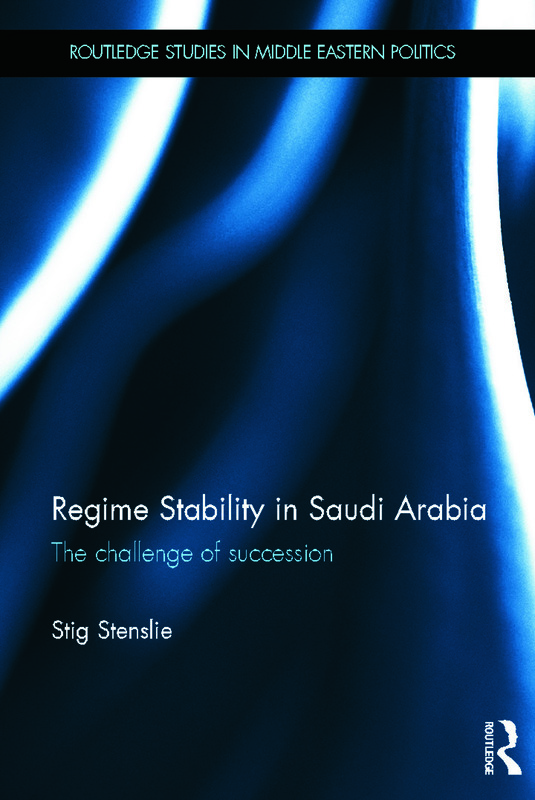 The author examines how the succession process has been used in highly different circumstances - including deposition, assassination, and death by old age - and demonstrates how regime stability in Saudi Arabia rests on the royal family’s ability to unite and to solve the challenge of succession. He offers a strong analysis of intra-ruling family mechanisms and dynamics in this notoriously private royal family, and addresses the question of whether, as the number of royals rapidly grows, the elite is able to remain integrated. Providing a rare insight into the issues facing the royal family and ruling elite in Saudi Arabia, this book will be of great interest to scholars and students of Middle Eastern politics, and Saudi Arabia in particular. The enduring value of Regime Stability in Saudi Arabia lies in its theoretical framing and the explanatory model that is used to make sense of the longevity of certain monarchies in the Middle East. Such research becomes all the more relevant in view of the recent tectonic shifts in the political landscape of the Arab world. Stig Stenslie specialises in Middle Eastern and Asian affairs at the Norwegian Defence Staff in Oslo. He holds a doctoral degree in Political Science from the University of Oslo, where he is a lecturer in Middle East studies, and is also the author of Stability and Change in the Modern Middle East (with Kjetil Selvik).